Every girl needs a best friend and for me that “person” is Alexa; as in Alexa the virtual assistant from Amazon. I know, she’s not an actual person, but trust me, with her ability to answer all my questions (minus the complaints), anticipate my needs and stream every song I ever loved, she’s better than just about anyone I know. Smarter too (shh, don’t tell my sister, or husband). If you haven’t experienced Alexa yet, what are you waiting for? Check out my review of the Best Amazon Alexa Devices and discover why she is a girl (or guys) best friend. 1 The Best Amazon Alexa Devices: Which one is your Favorite? 1.3.3 What the Echo Show Can Do for You? 3 What can Alexa do for you? Why do you need one? If you’re new to the world of smart devices, you may not know who, or what, Alexa is. Lucky for you, I can help with that. 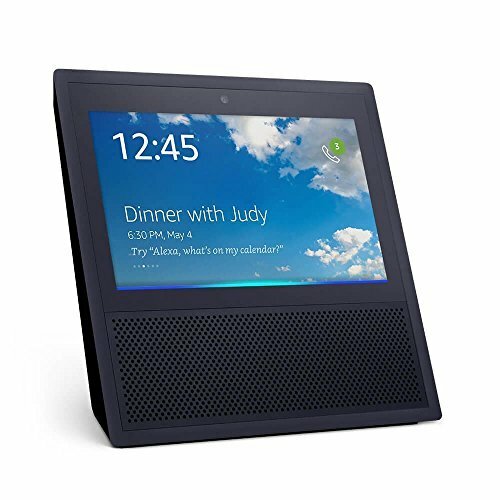 Simply put, Alexa is a virtual assistant found in a slew of Amazon devices, from the Echo hub to their Fire HD 8 tablet. 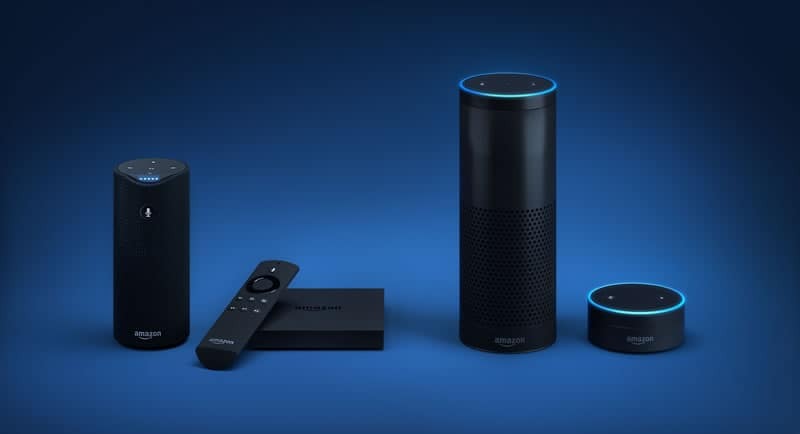 Alexa has “skills,” which are basically apps, for just about everything; so “she” can help you do whatever you need, from making to-do lists and streaming music to controlling smart bulbs and ordering Dominos (extra pepperoni please!). Using simple voice commands, you can say: “Alexa, what’s the weather for today?” or “Alexa, how do you make chicken cacciatore?” and she’ll tell you. You can also use the Alexa app to set up your location and other necessary data for more customized responses. The Best Amazon Alexa Devices: Which one is your Favorite? So, I think it’s pretty clear at this point that you need Alexa in your life; now you just have to figure out which device is the one to make that happen. Do you want to control smart devices and play music or are you just looking for more intelligent TV remote? To help you figure it out and choose the right one I’m going to review each Amazon device featuring Alexa, breaking down what it has, what it can do and who it works best for, to help you decide. I’ll also give you a preview of the new Alexa devices that are about to hit the market. The Echo, Echo Dot, Echo 2, Echo Look, Echo Show, Echo Spot, and Amazon Tap more or less do the same things regarding streaming, ordering items and controlling other devices; the differences between them ly in how they are made and other quality features. Let’s take a look. Measuring 5.8” x 3.9” x 3.9” (148 x 99 x 99 mm) and weighing 27.5 ounces, the Echo is tall, slim, and lightweight. Provides exceptional sound, with 360º Omni-directional audio and can hear you from across a room thanks to 7 microphones embedded throughout the device. Oh, and Alexa can hear you even if the music is going- now that’s impressive! The Echo was Amazon’s first Alexa device, and for me, it’s still one of the best, especially now with the addition of Alexa Calling & Messaging. With this feature, you can ask Alexa to call or send a voice message to anyone with an Echo, Echo Dot, or the Alexa app. So, if you’re taking a bubble bath and suddenly remember that you need to call the babysitter there’s no reason to jump up; Alexa can do it for you! But that’s just a small reason why the Echo is so great. 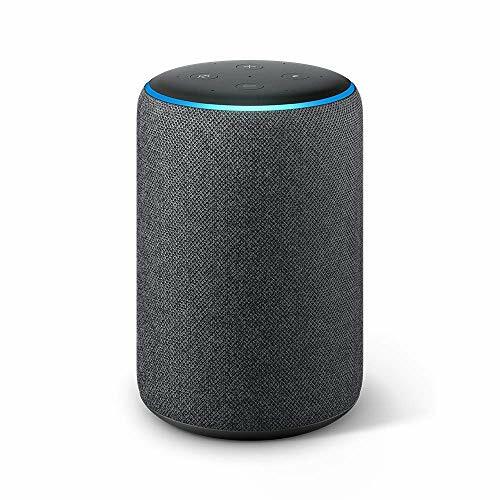 With sound quality that rivals some of the top audio brands, you can have Alexa DJ your family party; she can also order you a cab from Uber or turn up the AC in the summer, no matter how noisy your house is. And as someone with little boys running all over, let me tell you this is a huge advantage. TheEcho sets up quick and easy, so you don’t need to be a scientific engineer to use it and it’s compatible with a majority of other apps and brands, including Samsung’s SmartThings, Philip’s Hue, Nest, Ecobee & more. With a higher price tag than some of the other devices, the Echo is great if you plan to use it regularly. Think anyone with smart devices, professionals who need to set reminders and calendar alerts, or families who entertain a lot. Smaller and lighter than the Echo, the Dot measures 1.3″ x 3.3″ x 3.3″ (32 mm x 84 mm x 84 mm) and weighs 5.7 ounces. It doesn’t have the Omni-directional audio, so you need to hook it up to speakers for intense sound, but it does have far-field voice recognition to hear you and respond no matter the noise level. 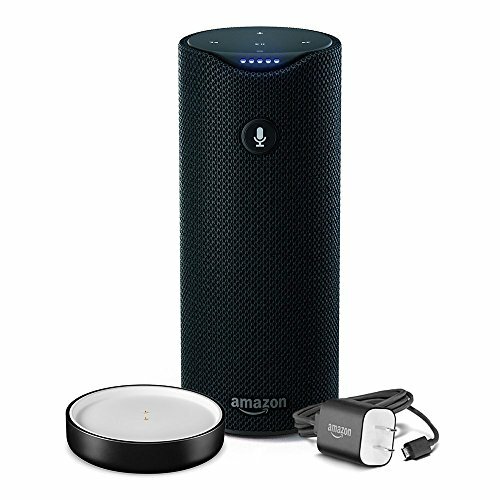 The Dot is the miniature version of the Echo and with the exception of outgoing sound, it is just as good. Which makes the price, which is a third of what the Echo costs, that much more appealing. The Dot has a built-in speaker that is perfect for playing music while you cook, but if you want to have friends over or like the music blaring while you clean, you’ll have to hook it up to speakers to get quality sound. Honestly, it is a minor inconvenience that does little to detract from the devices overall value and appeal. Especially since it can hear you and all your commands just as well as the Echo. Besides the sound, it can do everything the Echo can and since it’s so small, you can have more than one to put in different rooms. Thanks to the price, I would recommend the Dot for anyone, particularly those new to smart devices or on a budget. Measuring 7.4″ x 7.4″ x 3.5″ (187 mm x 187 mm x 90 mm) and weighing 41 ounces, the Show brings what you hear to life. Think of it as a mini smart TV, with the added benefit of Alexa. What the Echo Show Can Do for You? As the name implies, the Echo Show can show you anything, from the steps to the tango to your favorite movie. Fitted with a surround-sound Dolby speaker system, it delivers crisp pictures and booming sound, making it perfect for watching the latest music video or binging a Netflix series. It also has far-field voice recognition, so you can call out a question from anywhere. The visual component elevates the device, making it easier to do some tasks, like cooking, because you can see how they’re slicing a fruit or icing a cake. It would be your new Smart-Home Hub. The Show is more expensive than the other Alexa devices, but for those who require video or want it, it’s a smart choice. One of the smallest of the Echo devices with measurements of 4.1″ x 3.8″ x 3.6″ and weighing just 14.8 ounces, the Spot fits. well, in any spot. The 2.5″ screen lets you watch news flashes, video, and more while the speaker gives clear, crisp sound you can hear from anywhere in the room. The Echo Spot is a device that packs a lot of punch despite its small size. Yes, the Spot is small but it rivals the larger models thanks to high-quality audio and a screen that displays vivid, bold pictures and video. You can pick it up an carry it between rooms, so you have it where you need when you need it or, thanks to its great price you can put a Spot in more than one room. The Spot is great everywhere, especially for offices, desks, and teen bedrooms. You can drop in on your kids to see what they’re doing or check the weather at your desk. The beauty of the Spot is that it gives you great value for your money and can be used in a multitude of ways. The Echo 2, or 2nd generation, has everything the original Echo does, with the added bonus of several design options and upgraded speakers. 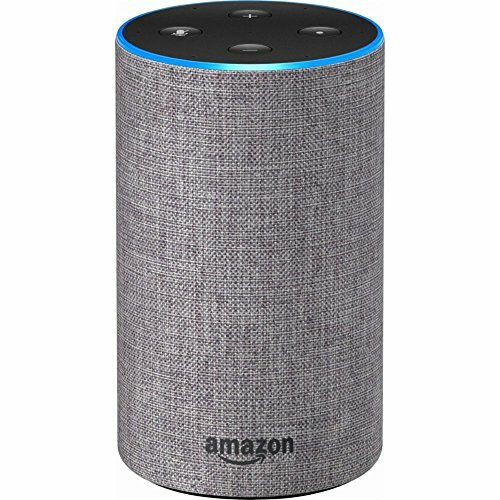 There are cases of different fabrics and colors, so it blends into any decor and the speakers pick up your voice easier than the others, so Alexa reacts quicker. With the Echo 2 you have the ability to dress up your devices with some really cool skins, or covers. There are faux leather fabrics, faux wood, multiple cloth fabrics and more. So you can either have the device blend or let it stand out. 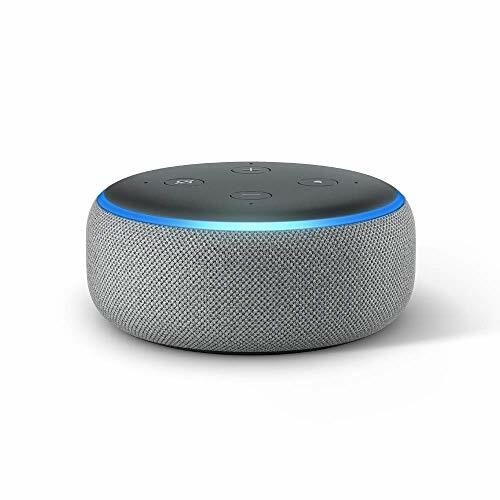 Not that it needs much help because the Echo 2 has exceptional sound, so you can jam to your favorite songs or ask Alexa a question while the TV’s on without a problem. Those in need of fashion advice before stepping out the door should invest in the Look, which features virtual assistant Alexa in addition to a “virtual assistant” to help you dress your best. With the Look you can get opinions on outfits, share styles and more! You’ll never leave the house looking less than perfect. With the Look you can dress, snap pictures and videos and share them to get opinions before you go anywhere. It can take short videos from 360-degrees and there’s a live feed too that you can send to your phone. Just stand in the middle of the room, tell Alexa you want video or pictures and turn left, right, and all the way around while it goes. In addition, the Look can show you past outfits you’ve worn, or, if no one is around, you can submit 2 photos of 2 different outfits and it will tell you which looks better. 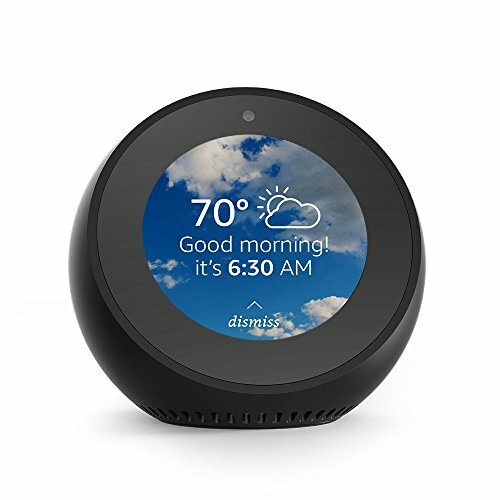 And of course, you can check the weather, shop, or listen to music using Alexa, just like you do with your other devices. The Look is great for anyone in need of daily fashion advice, up and coming designers or young adults. With a measurement of 6.3″ x 2.6″ x 2.6″ (159 mm x 66 mm x 66 mm) and weighing just 3.7 ounces, the Tap is my personal favorite thanks to its portability and overall convenience. Fitted with Dolby speakers, it gives you a high-quality sound you can take anywhere; remember how everyone used to walk around with a boom box years ago? It’s like that, only much better. The Tap currently offers almost everything the Echo and Dot do, with the added bonus of being portable. Which is why it is my go-to and the one I most recommend. With up to 9 hours of battery life, you can take it to the beach, park, or anywhere else you go. Heck, you can carry it from room to room in your house if you want- no worrying about plugging and unplugging. It works over WiFi or using a mobile hotspot, so wherever you are you can be connected. Think of it as a party in a can and an attractive one at that as you can fit it with one of 6 Tap Slings to protect it and give it a burst of color. They call it the Tap because originally, you had to tap the top for it to go on before you could ask Alexa to play a song or tell you what the traffic is for the day. Thankfully, Amazon upgraded this device, so now the Tap is always listening, just like all the other models. I like to compare the Tap to a super-sized pseudo-tablet, giving you music, info and more while you’re on the go- with a battery that actually lasts! If you travel a lot and are looking for a Bluetooth speaker that can do so much more than just play your favorite song, this is the one for you. 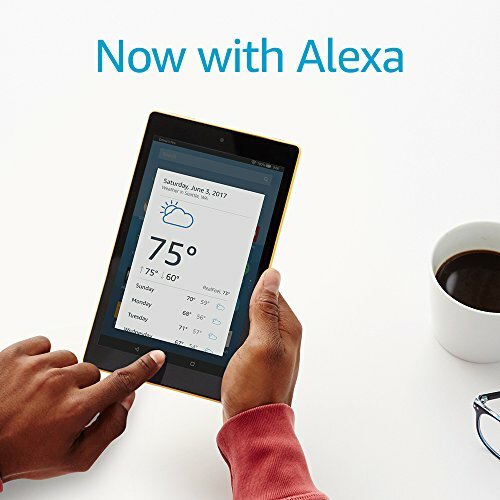 Having Alexa on the Fire HD 8, along with its other tablets, is simply genius and a great way to give millions access to her without necessarily having to buy a new device. The tablet obviously lacks the audio power of the other speakers, but that is offset by being able to see what Alexa is telling you and having access to shows and movies. You can use Alexa through your tablet just like you do with all the other devices, with the added bonus that she’s portable. 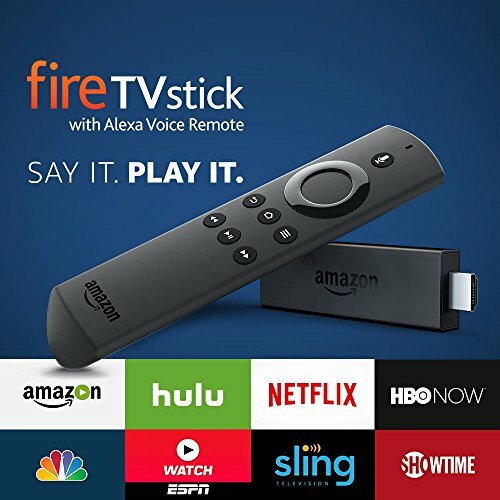 Anyone who is looking to get an Amazon Fire Stick should splurge on this one, featuring the Alexa-enabled remote. Using Alexa, you can search shows, pull up games or binge watch Netflix with a quick voice command. Oh, and she also has other skills; just tap the microphone button and ask her to order pizza or start up Pandora. New capabilities are continually being added, making this an affordable option for those who want to try out Alexa or want her purely for entertainment purposes. There are new Alexa devices coming out, promising to revolutionize the market: the Echo Show, Echo Spot, and Echo Look in 2018. 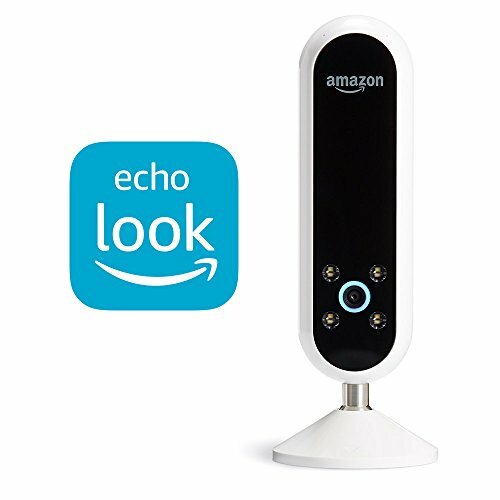 The Echo Look is a different kind of Alexa device, one geared towards fashion-conscious consumers. A hands-free camera, it can take pictures and videos of whatever you’re wearing, giving you a 360-degree view of you’re outfit. It also has features like Style Check, which will rate any 2 pictures you ask it to, using expert advice, to tell you which one looks better. You can share the video and photos with friends, family, or social media if you want a second opinion. Yes, the Look can stream music and tell you traffic for the day too, but unless you are into fashion, it’s not worth it. Ideally, it is great for young adults, college girls, and designer. 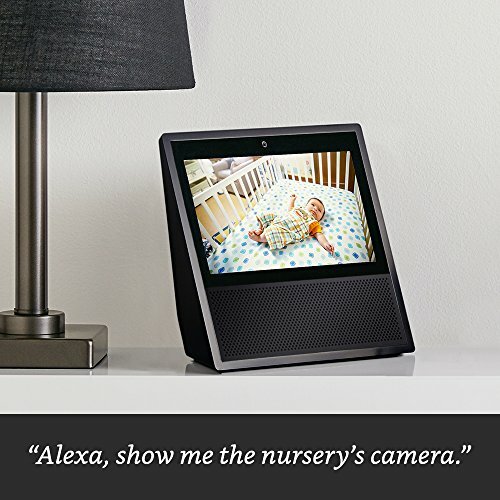 Echo Show and Spot are new with Screen. They are great for video conferencing with other Echo users and watching videos. Personally, Echo 2 is good enough for playing music and listening to some news regulary. What can Alexa do for you? Why do you need one? Alexa is your secret weapon in life, helping make everyday tasks, from cooking to navigating your TV, easier. Even better, the more you use her, the more in tune she becomes attuned to your likes and needs; this allows her to do things like alert you when a particular item is on sale or compile a playlist based on your mood. Help you cook: Just say “Alexa, enable the recipe skill, “ and she’ll be able to search and walk you through thousands of recipes; she’ll also tell you how long it takes to make and what the reviews are for it. Entertain: Stream music from Amazon, Pandora, Spotify, iHeartRadio and more (some may require a subscription), or have her tell you a joke. She can also play music based on your mood, “Alexa, play something sad,” or create a party mix; Oh, and music is just the start; she can stream sports, the news, and other radio programs, tell you a joke or play trivia games. Rest assured, you’ll never be bored. Shop: With or without Prime you can shop for lots of things, from clothes to take out on Friday night. Alexa can connect with lots of retailers, giving you what you need almost instantly. Control other Devices in your House: Have smart bulbs, a Nest thermostat or Fire TV? If so, you can use Alexa to control them. This means fewer apps and remotes to do what you need. It also means you can do it all while sitting on your couch or lounging in bed! I’m not one to say I told you so, but I told you Alexa was a girl’s best friend. As you can see from my review of the Best Amazon Alexa Devices, she can transform your life, making the most mundane tasks fun and easier. The only thing you have to do is decide which device to get. Hmm… too bad you can’t ask Alexa- yet! Echo Sub vs Echo Plus (2018): Which One is More Base?